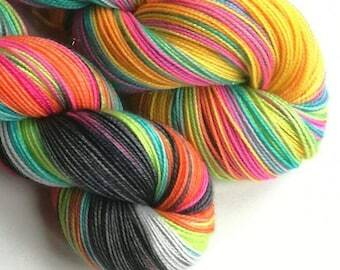 This listing is for custom dyed RAINBOW yarn! 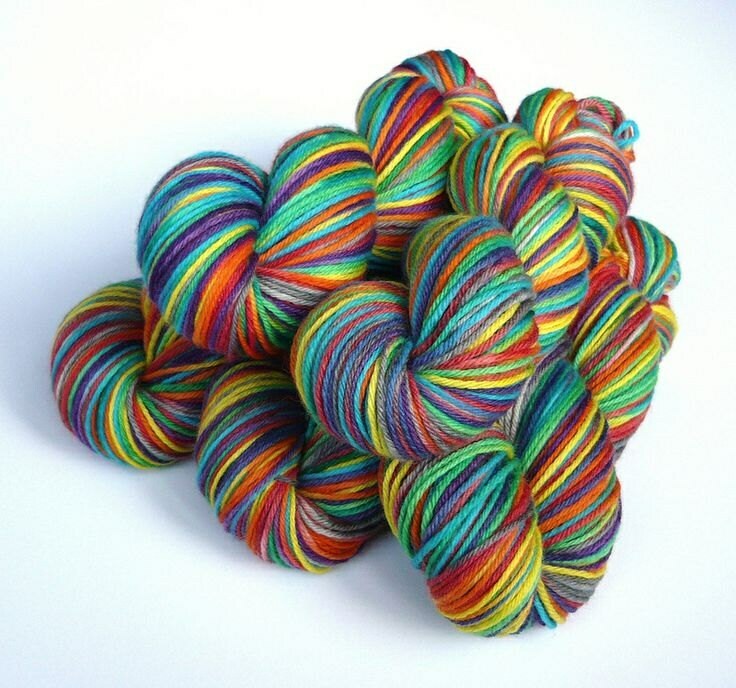 You can choose from a number of bases and then from my rainbow colourways, or get in touch with me to talk about something new. Occasionally I have other bases instock, so if you're looking for something else please ask and I will see what I can do. Customs will be added to my dyeing list and worked in rough order. Turnaround time is stated with the shipping details. In the unlikely event that I don't have the correct base instock and can't get it quickly, I will contact you. Rainbow (the picture is of a With A Twist base, which is the only type to create the twist effect shown). Other rainbows are available, After the Storm can be created with a colour other than grey for example Bow & Back is a rainbow that doubles back on itself. Pink Chakra & Back is a combination of Chakra, Pink Rainbow and Bow & Back. I'm also open to your rainbow suggestions! I saw a picture of this yarn knitted into socks. It was so lovely I knew I had to have. It was dyed specially for me. 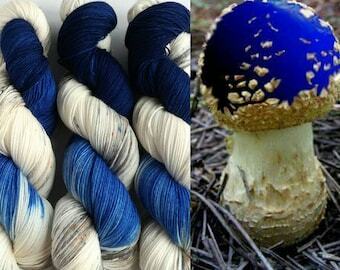 This yarn is very beautifully dyed. Very vibrant colors in the rainbow. Would definitely recommend it. Great colours. Well worth waiting for the dye to order! Very happy.